Reminiscent of the row-house style of coastal homes, the Tipperary features two porches on the front exterior and a striking bay window with copper roofing that gives this home instant curb appeal. Inside, unique room shapes and open spaces give this design additional flair. Upon entry into the home, the dining room and living room/study are immediately apparent. A tray ceiling and bay window add extraordinary style to these rooms. Further inside, the family room, kitchen and breakfast rooms are an easy transition from one to the other. Creating plenty of space without crowding the chef, the kitchen is any cook's dream. Nearby, the convenient family drop zone accesses both porches and the garage and includes a sink and cabinets, as well as a closet. Upstairs, two secondary bedrooms are divided by a spacious bath that features a window seat. On the other side, the master suite includes a bayed sitting area and opulent master bath. 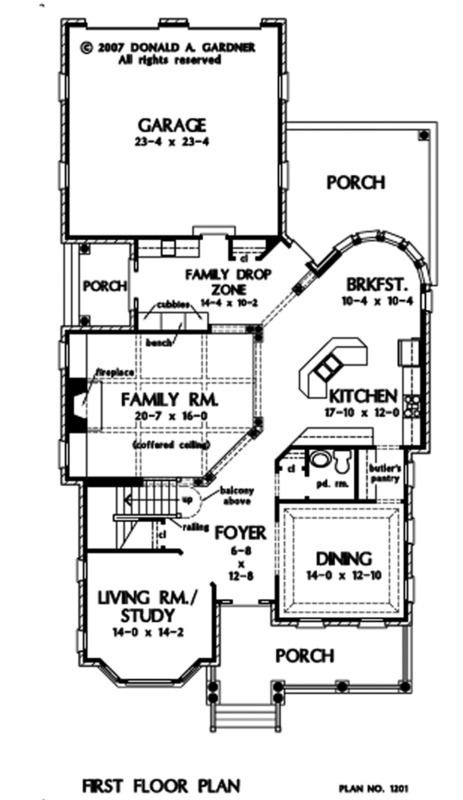 Note the second-floor utility room and bonus room that is almost 400 square feet. 1st Floor: 1681 Sq. Ft.
2nd Floor: 1651 Sq. Ft. 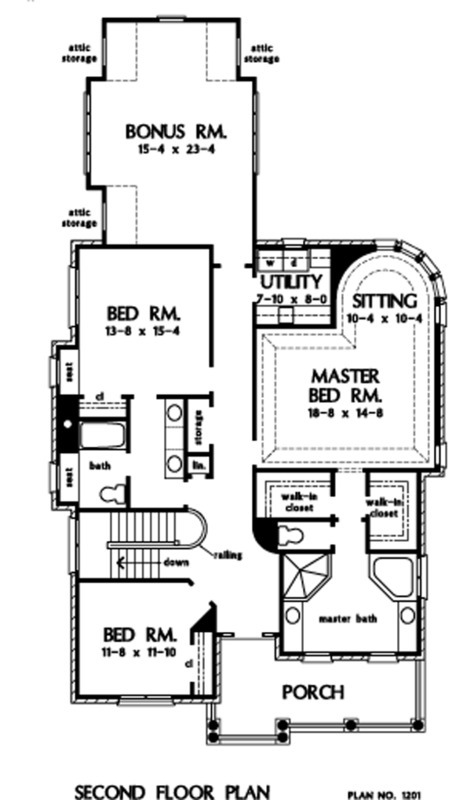 Bonus Room: 396 Sq. Ft.
House Dimensions: 40' 11" x 76' 3"
Great Room: 20' 7" x 16' 0"
Bedroom #2 : 13' 8" x 15' 4" x 8' 0"
Bedroom #3 : 11' 8" x 11' 10" x 8' 0"
Bonus Room : 15' 4" x 23' 4" x 8' 0"
Breakfast Room : 10' 4" x 10' 4" x 9' 0"
Dining Room (Tray): 14' 0" x 12' 10" x 9' 0"
Foyer : 6' 8" x 12' 8" x 9' 0"
Great Room (Coffered): 20' 7" x 16' 0" x 9' 8"
Kitchen : 17' 10" x 12' 0" x 9' 0"
Master Bedroom (Tray): 18' 8" x 14' 8" x 9' 5"
Other : 13' 8" x 10' 2" x 9' 0"
Porch - Rear : 16' 0" x 12' 0" x 9' 0"
Porch - Front : 22' 10" x 7' 7" x 9' 0"
Porch - Left : 5' 7" x 9' 3" x 9' 0"
Porch - Other #1 : 22' 10" x 7' 7" x 8' 0"
Storage (2nd Fl.) : 2' 4" x 5' 8" x 8' 0"
Utility Room : 7' 10" x 8' 0" x 8' 0"